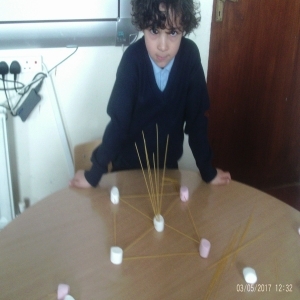 Boston National School are taking part in the ‘Discover Primary Science and Maths (DPSM) programme 2016-2017’. 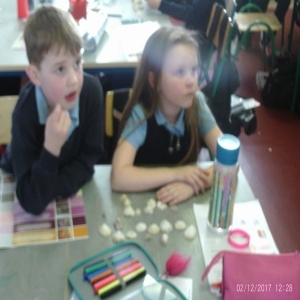 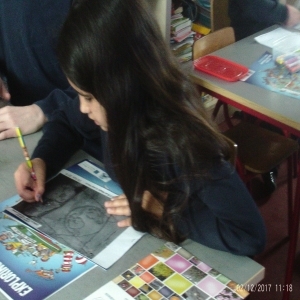 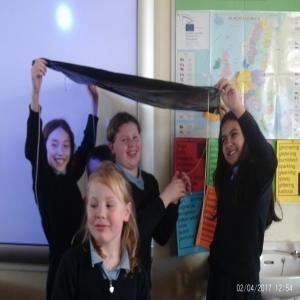 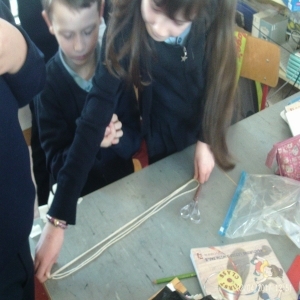 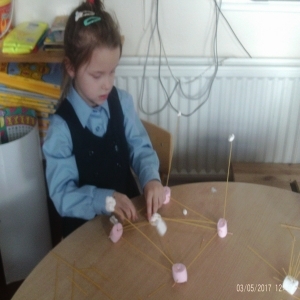 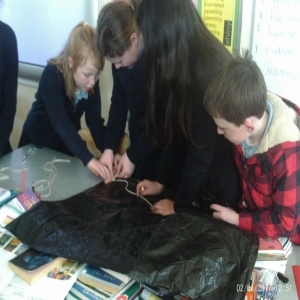 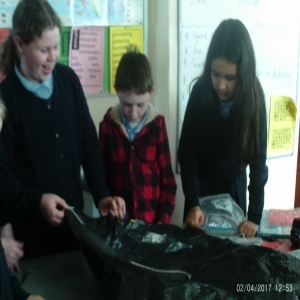 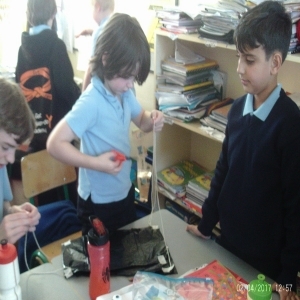 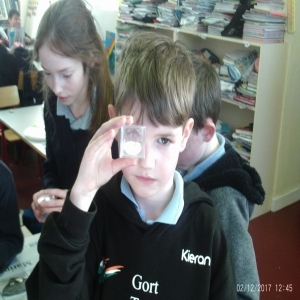 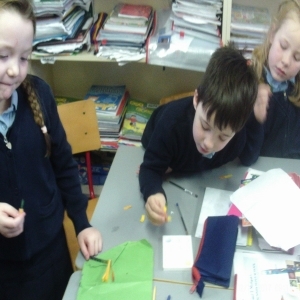 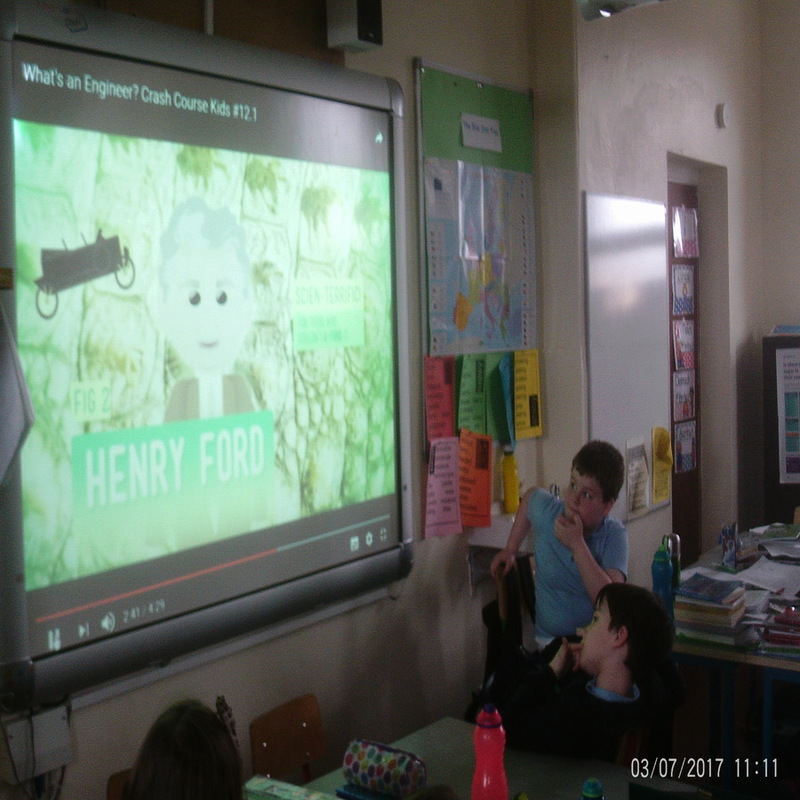 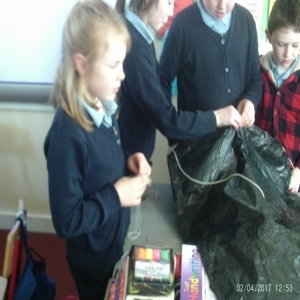 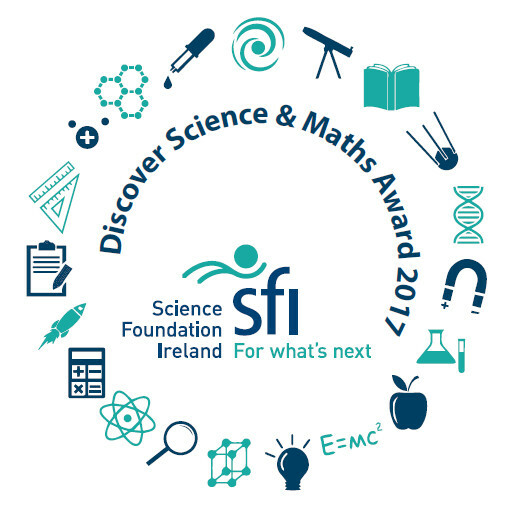 This programme is run by Science Foundation Ireland, to foster interest in science, technology engineering and maths amongst children in primary schools. 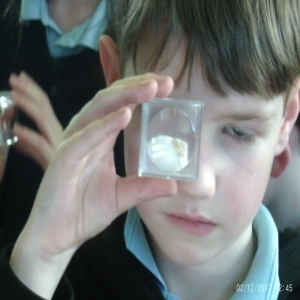 The children will be carrying out science investigations, inviting in guess speakers, taking part in the ‘Marine Explorers Education Programme’, using their maths skills as part of their science work and also using ICT to present and investigate their science skills even further. 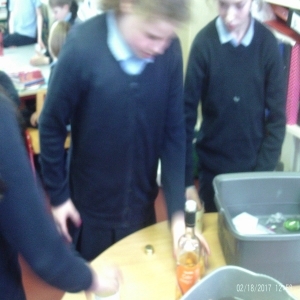 The children carried out and investigated lots of different experiments both in groups and individually. 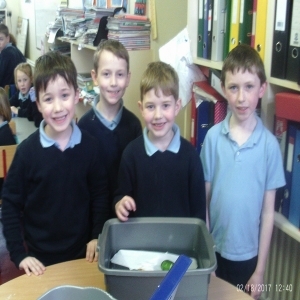 Growing plants-Venus fly trap, Cobra Lillies and Rose of Jericho and the Fericito. We planted crocus and learned all about what plants needs to survive i.e. 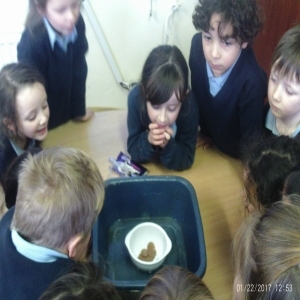 light, water and nutrients from the soil. The junior room learned about lots of different animals, their appearance, diet and habitat. 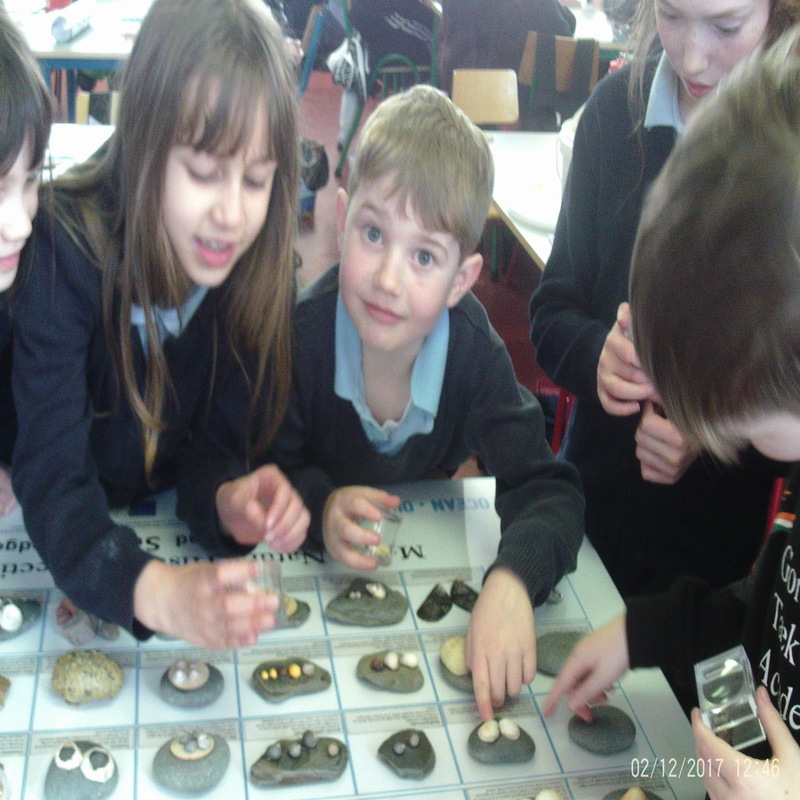 Some of the animals they explored were the Red Squirrel, the Polar Bear, the Hedgehog and the Blackbird. 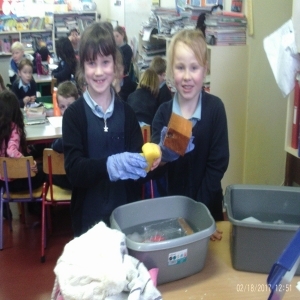 We were lucky enough to have one of the parents come in and show some of these stuffed animals to the children and talk about some interesting facts. We did investigated materials to see if they were transparent or opaque. 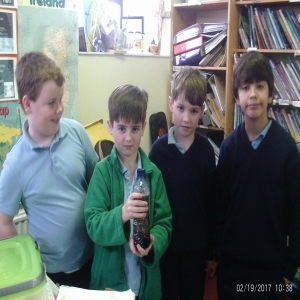 We designed and made our own lava lamps using cooking oil, food coloring and water. 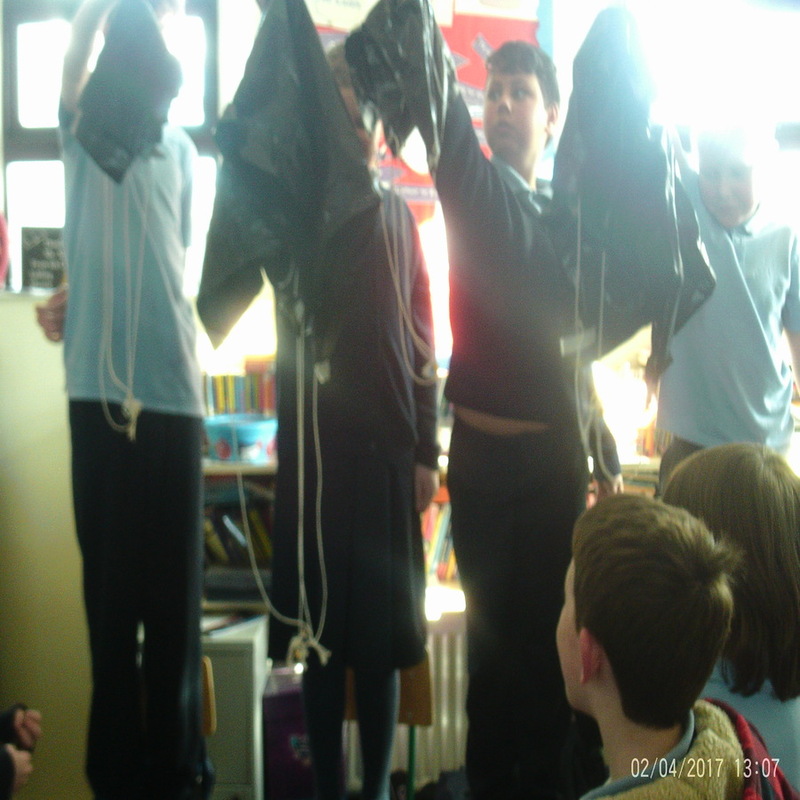 We made parachutes out of bins bags and tested them to see which parachute worked best. 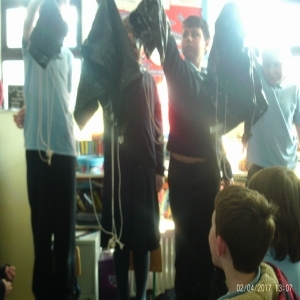 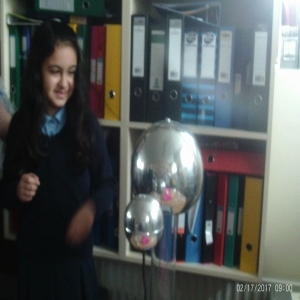 The children tested out the effects of static electricity on the body i.e. 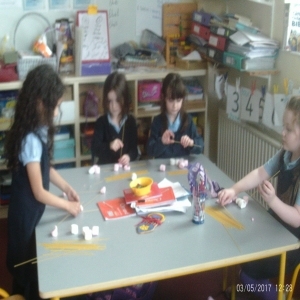 makes their hair stand up and on materials i.e. 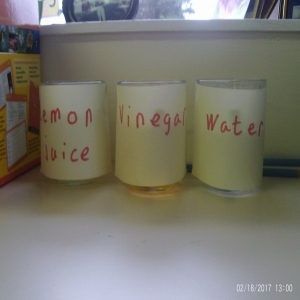 lifts paper, moves aluminum can. 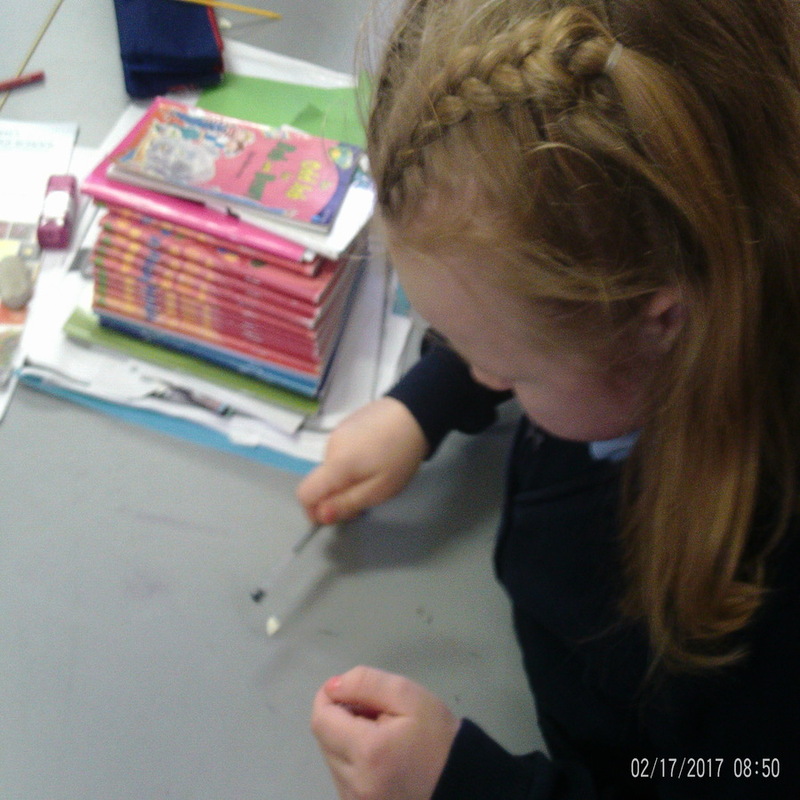 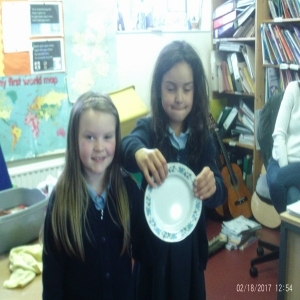 The senior room tested different material such as glass, clay, plastic, to see if they would bend, tear, break or change shape. We tested other materials such cloth, cotton wool, newspaper, wood to see if they were absorbent or not absorbent. 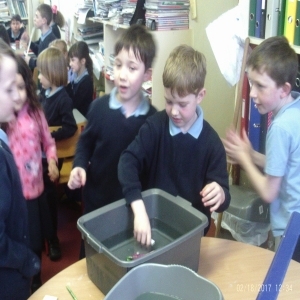 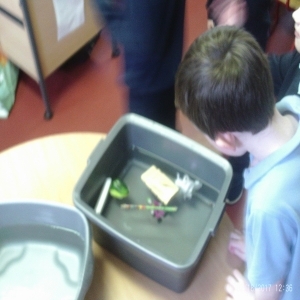 The junior room tested a variety of classroom objects to determine if they floated or sank. 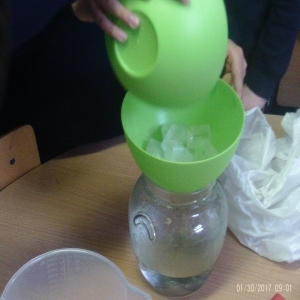 and investigating ways in which liquids and solids may be kept hot or cold. 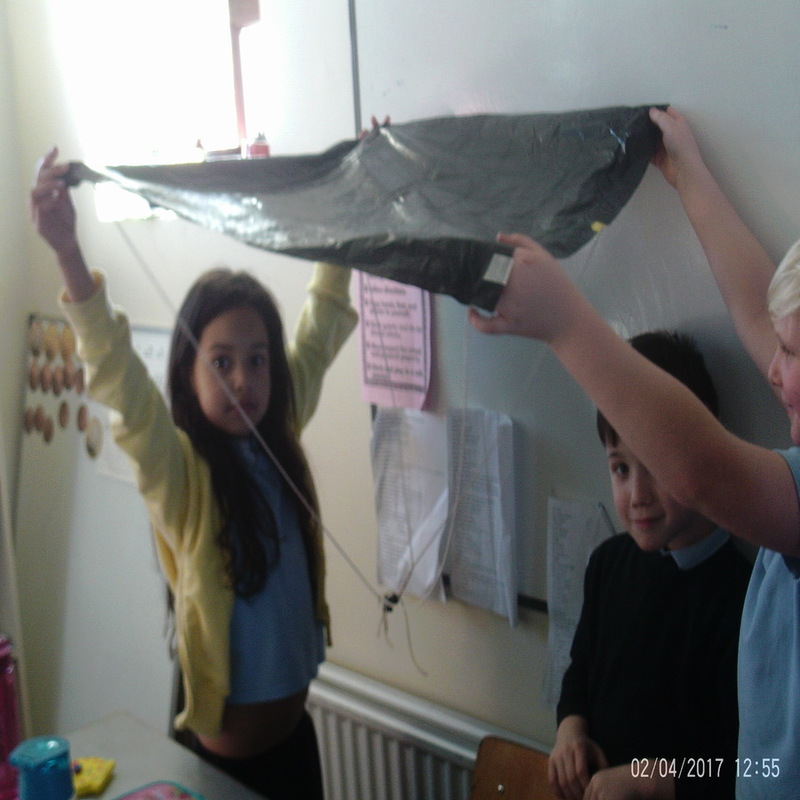 Energy Flag: We had a whole school power down day where we tried to save a s much energy as possible. 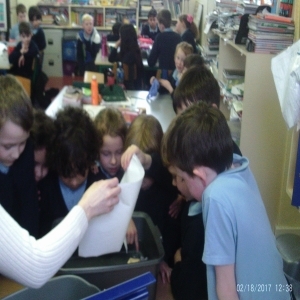 The children in the junior room learned all about how to help Guzzler save energy. 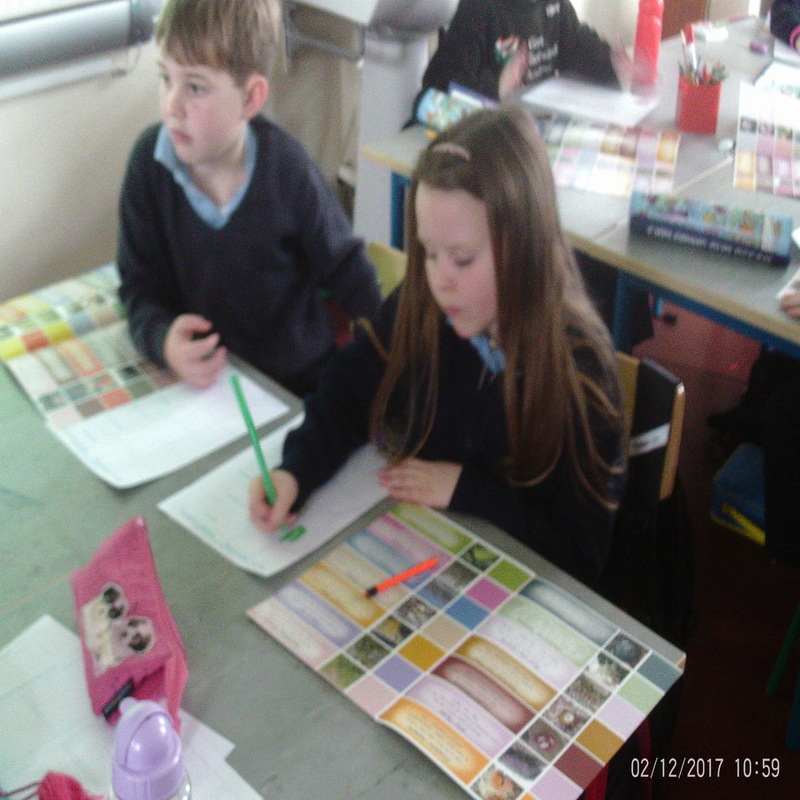 The senior room are in charge of keeping a record of the units of energy used and comparing them to other days/months of the year. 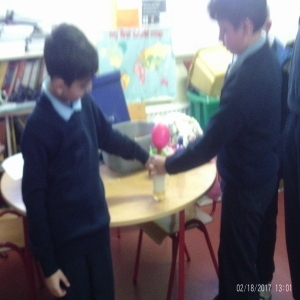 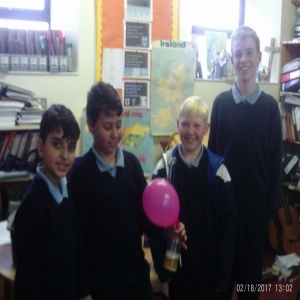 Water Cycle: A group of students demonstrated the water cycle using the steam from hot water i.e. 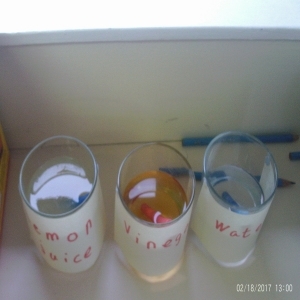 evaporation and using a cold glass overhead to show condensation. 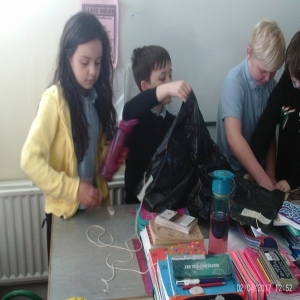 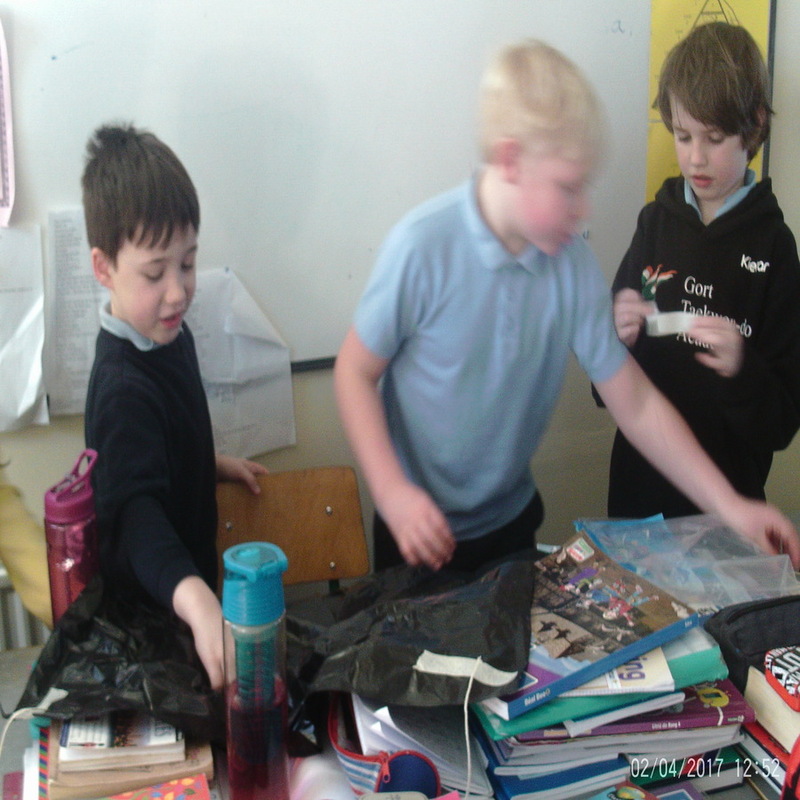 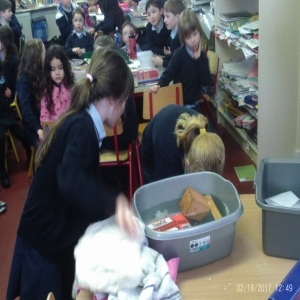 Clean up Day: The whole school are teaming up with an Taisce to help clean the environment and keep it litter free. The whole school learned about space and the solar system. 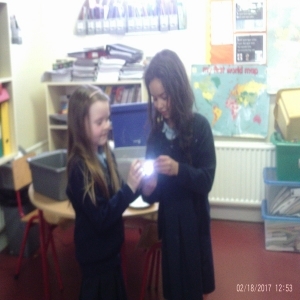 The children learned about the planets, the sun and outer space. The Senior room made the solar system out of reusable materials and the junior room constructed and created their very own rocket. 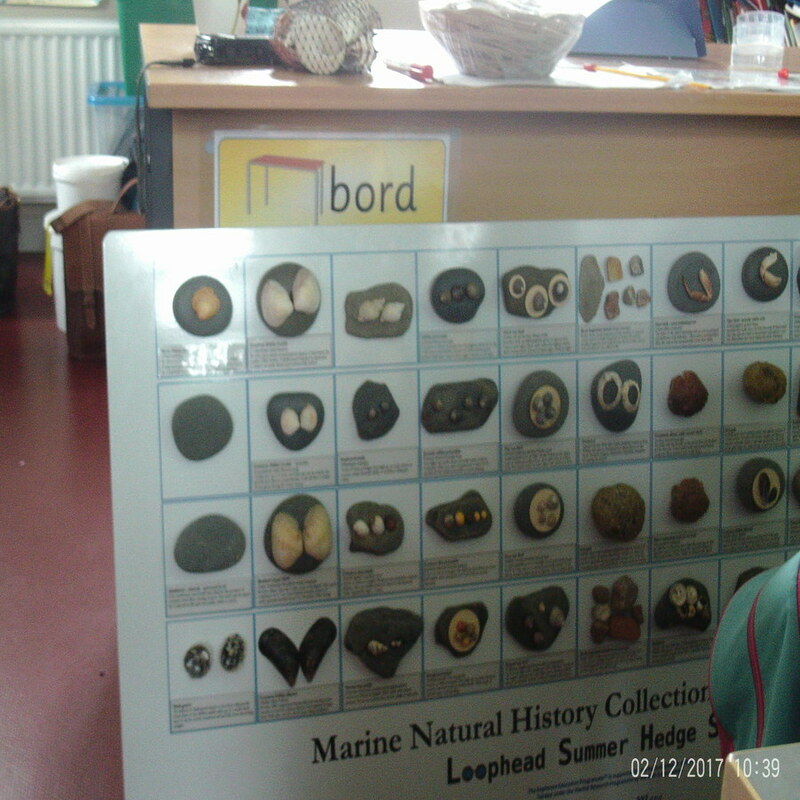 The children took part in the marine explorers programme. 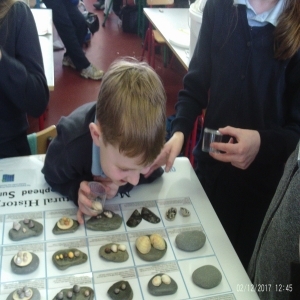 Wednesday the 15th February Carmel from the Marine institute came to Boston N.S. 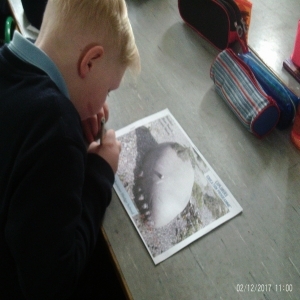 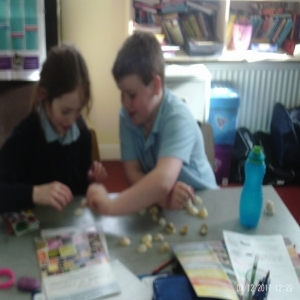 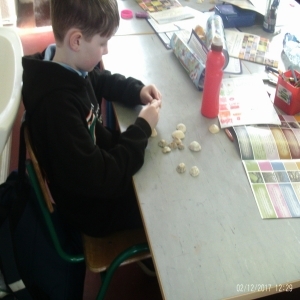 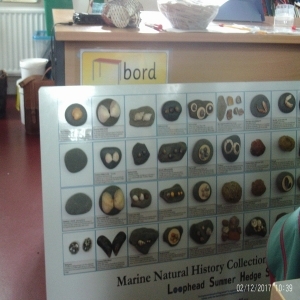 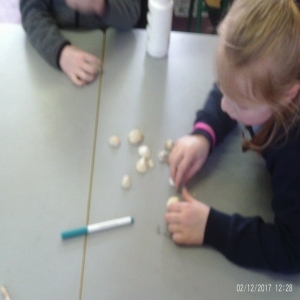 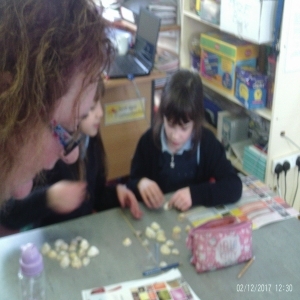 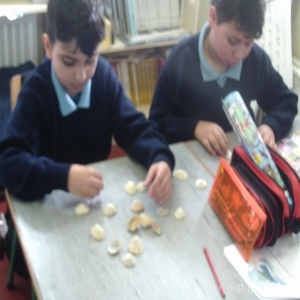 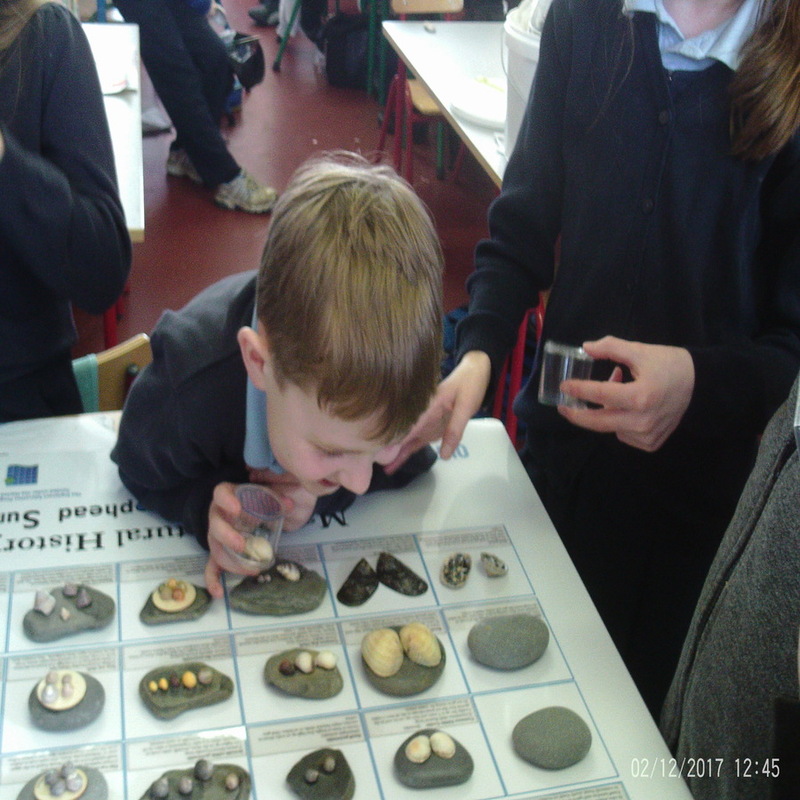 The children learned all about the rocky shore and examined lots of various types of shells. The children were very fortunate to have Olivia Dillon come in today to speak to them about the three areas she deals with in science; Biology, chemistry and physics. 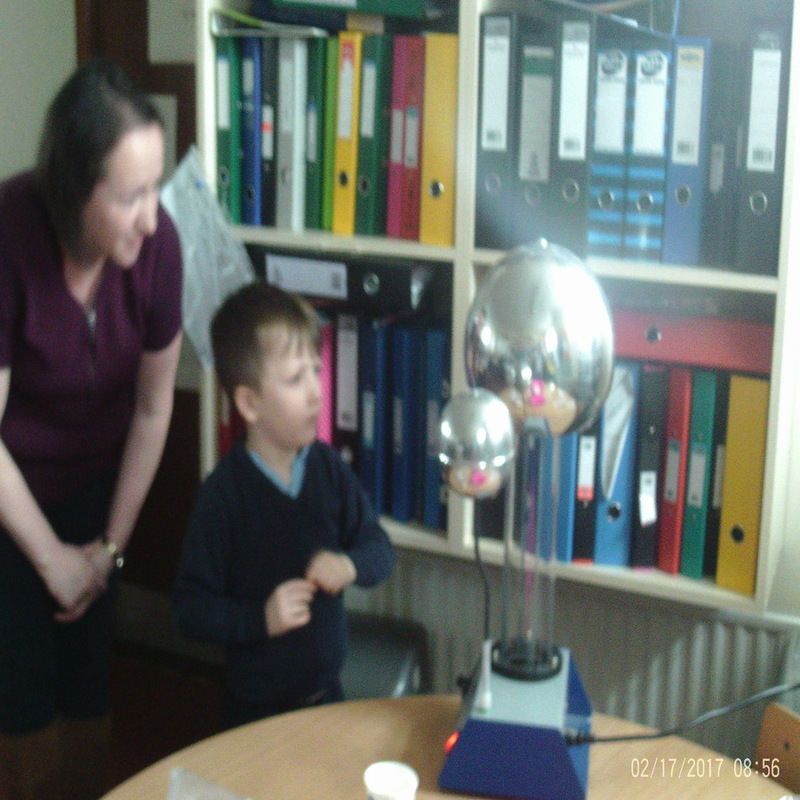 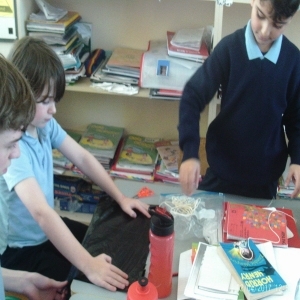 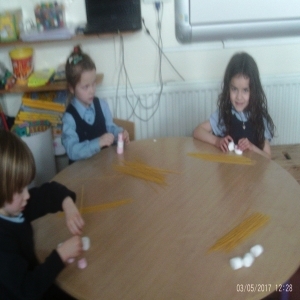 The children were really hands on and got to experiment and investigate in each of these areas. The children led by Olivia investigated how static electricity works i.e. 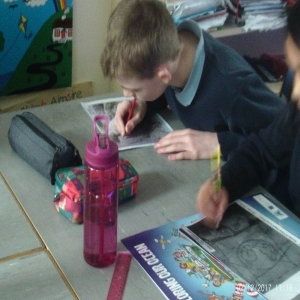 gives you shock, makes your hair stand up and lifts paper with a pen. 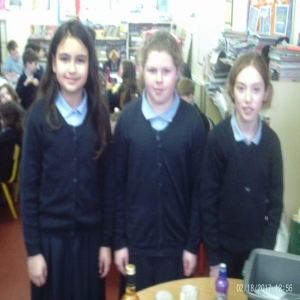 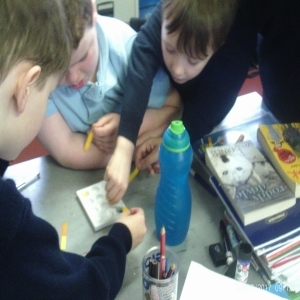 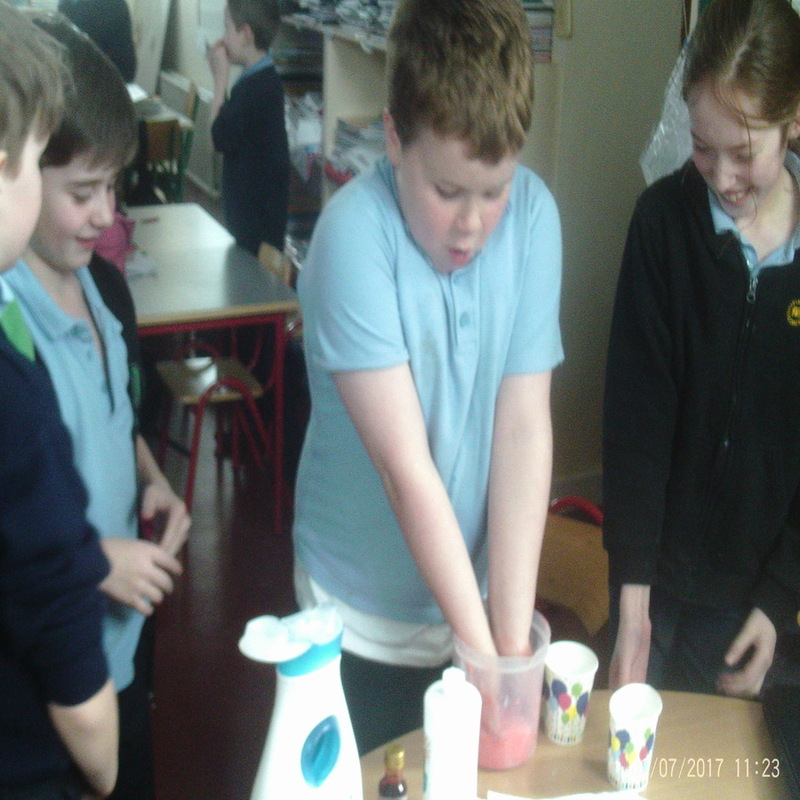 The children also got to test different substances to see if they were acids or bases. 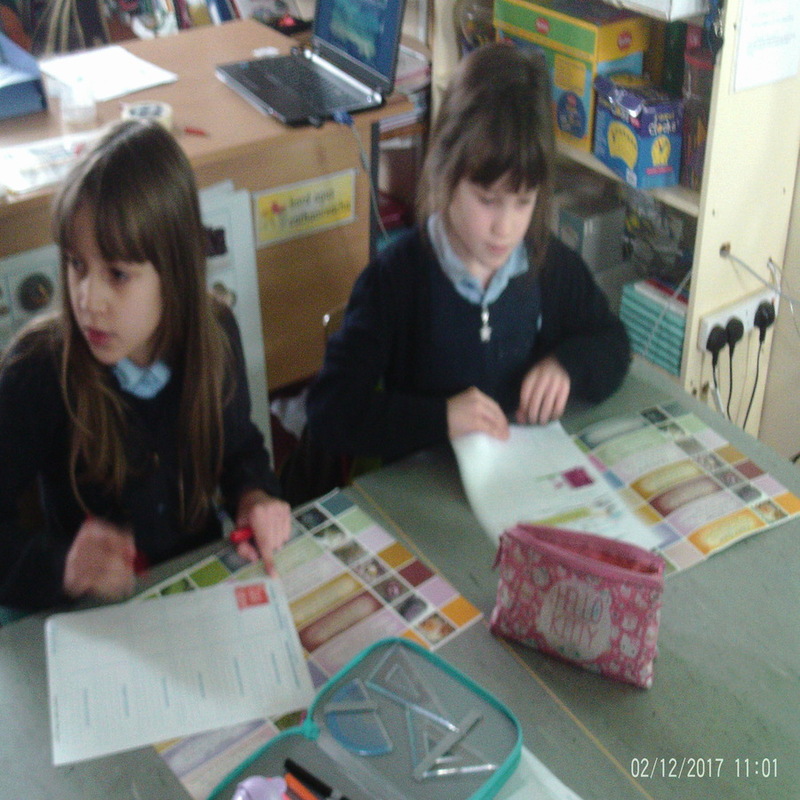 The children used the PH coloured scale to determine their results e.g. 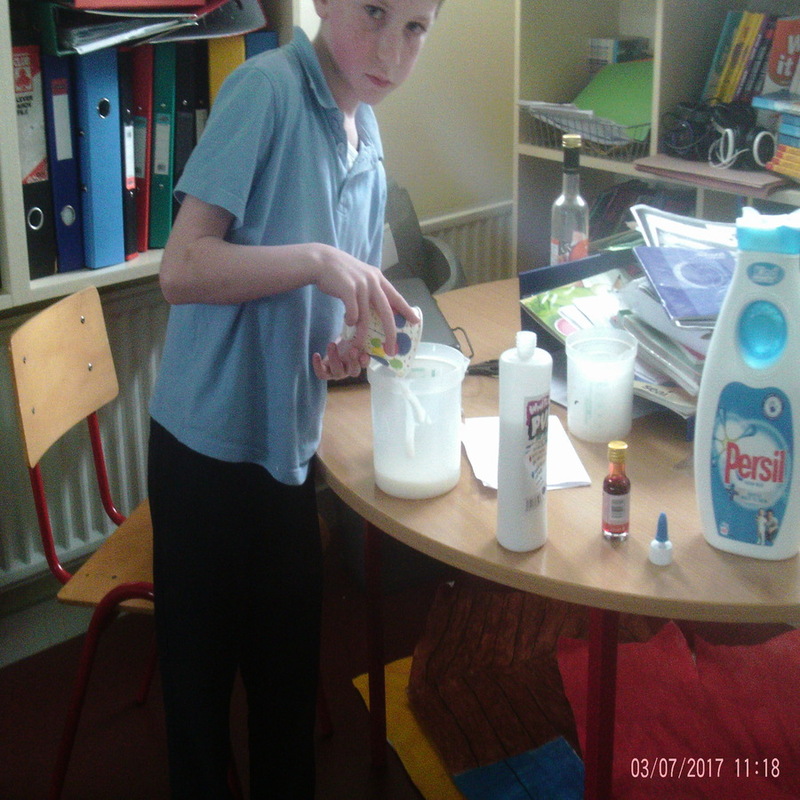 vinegar was an acid and soap was a base. 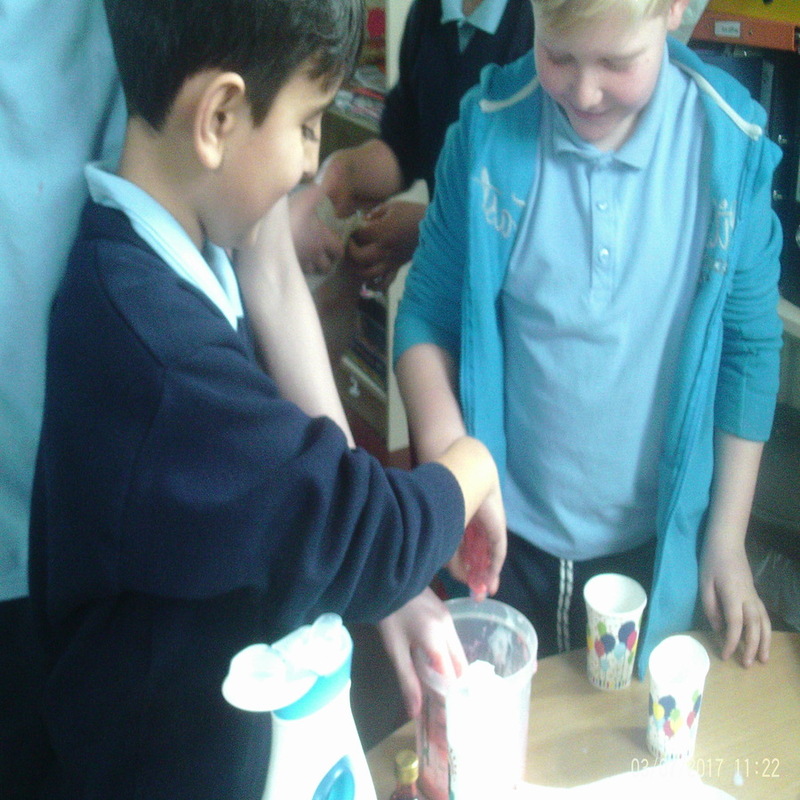 Furthermore the children got to test out whether a substance was liquid or solid. 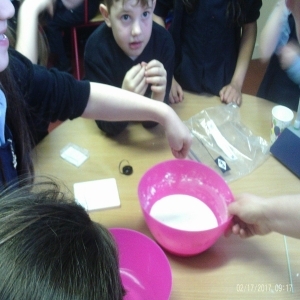 To carry out this experiment Olivia used ‘oobleck’ which it is referred to in the Dr. Suess book. 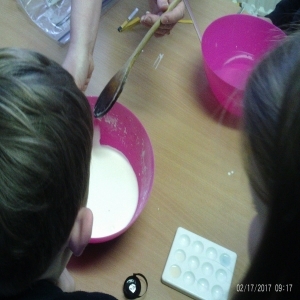 Depending on the pressure applied the students found that oobleck acts as both a solid and a liquid. 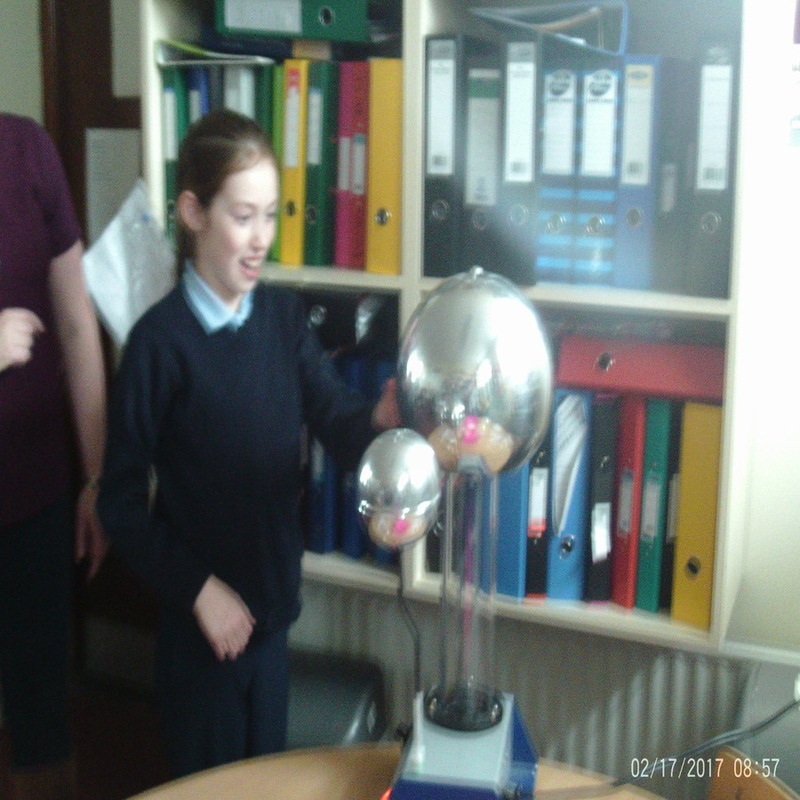 The students had plenty of questions for Olivia afterwards and were really intrigued about the world of science. 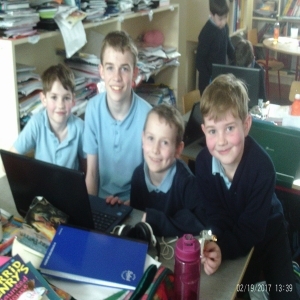 The senior room enjoy Scratch every Friday afternoon. 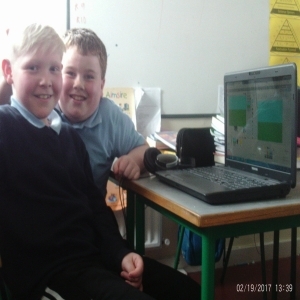 They work together in pairs and individually to create interactive stories, games, and animations through the use of computer code. The First Class created their own PowerPoints on the topic of Spring and showed them to their class. 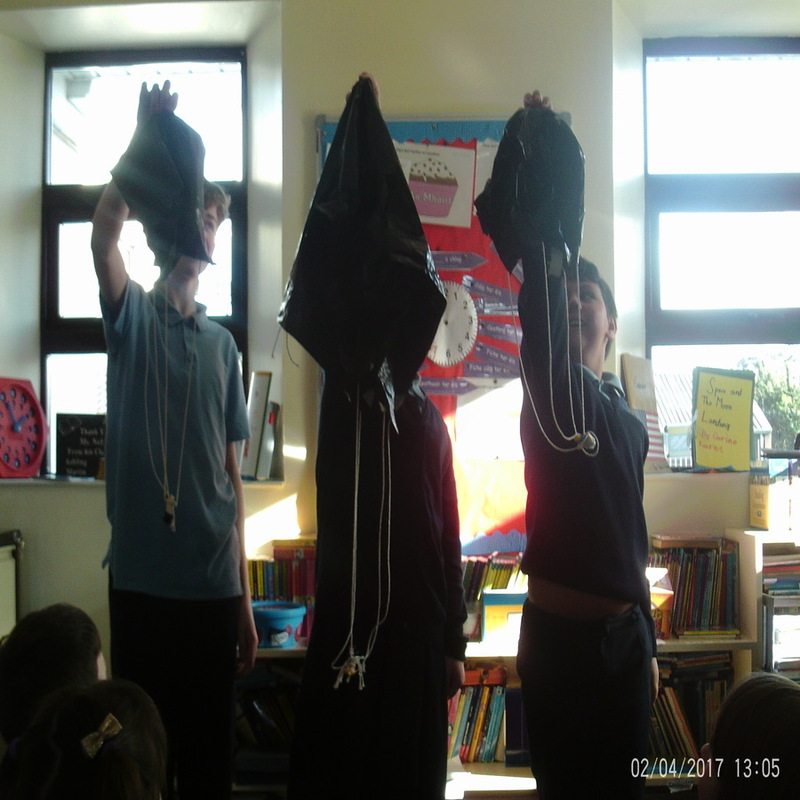 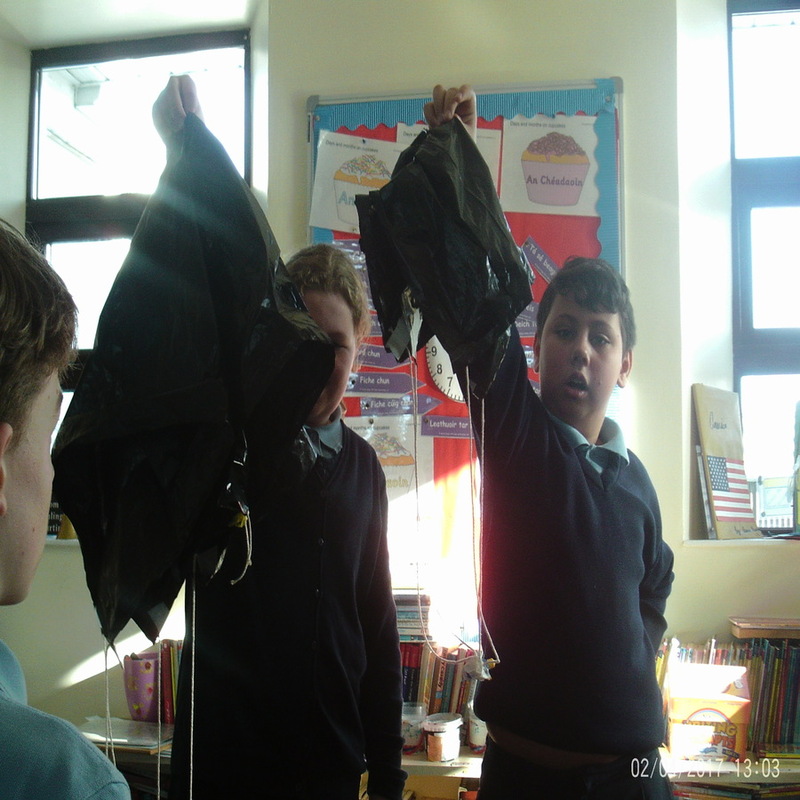 The senior room designed parachutes and tested these to see how the size of the parachute altered the effectiveness of the parachute. 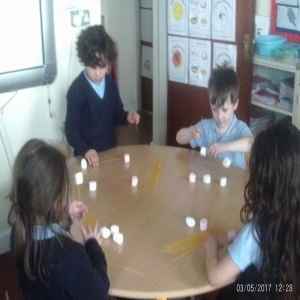 The junior room became engineers and made the tallest buildings (made out of spaghetti and marshmallows) that could withstand an earthquake (made out of jelly). The senior room investigated and learned about all different types of engineers. 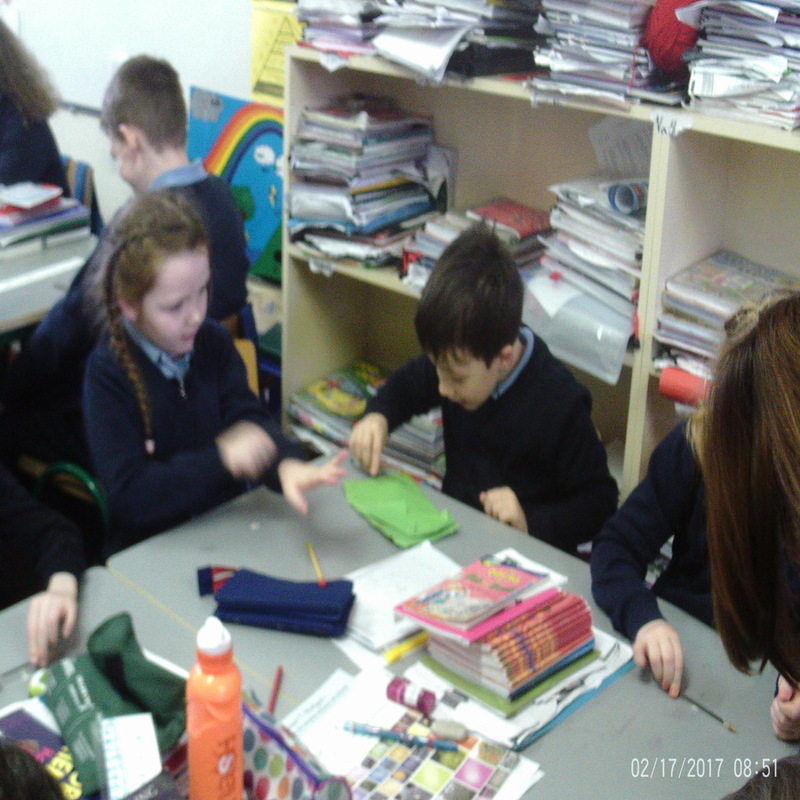 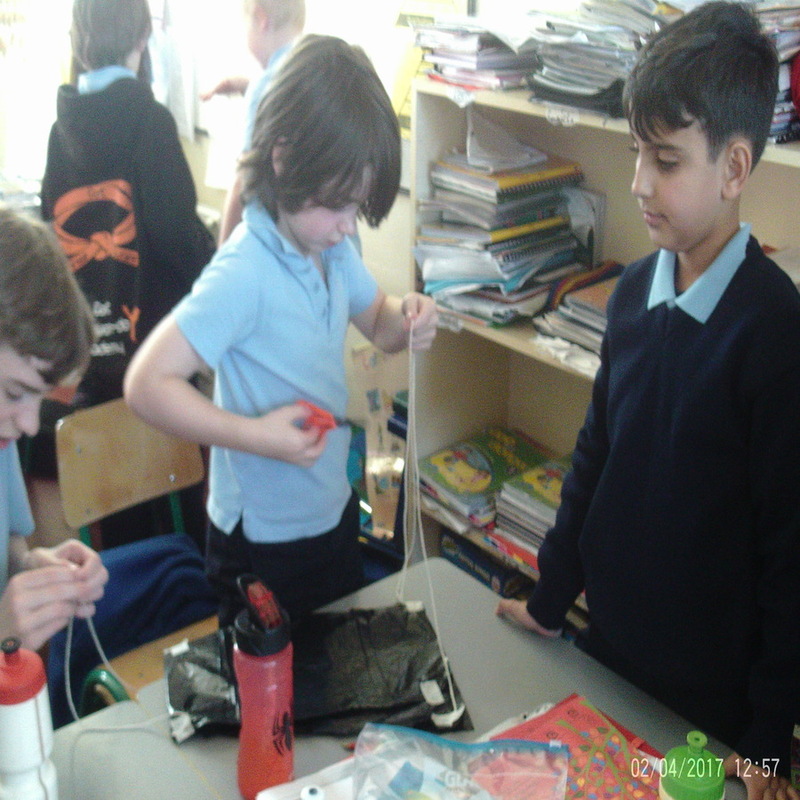 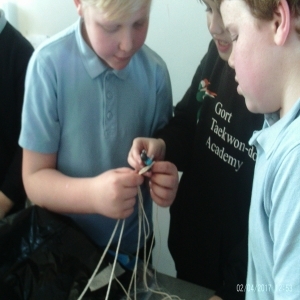 They made slime and also explored ways to make the strongest bridge using one piece of paper only. 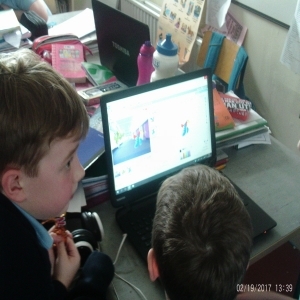 The children love taking part in Khan Academy and get lots of opportunity throughout the school week to log on and improve their maths skills. 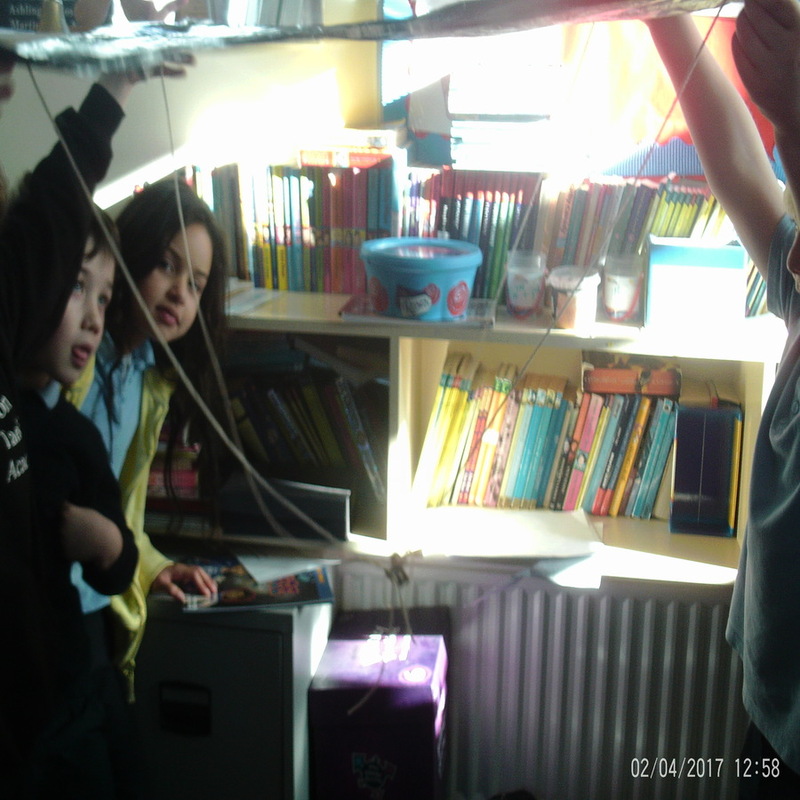 The children designed their own foam rockets and launchers (using a metre stick and paper projector) in maths to test how far the rockets would travel at different angles. The children learned about acute, obtuse and right angles in class also. 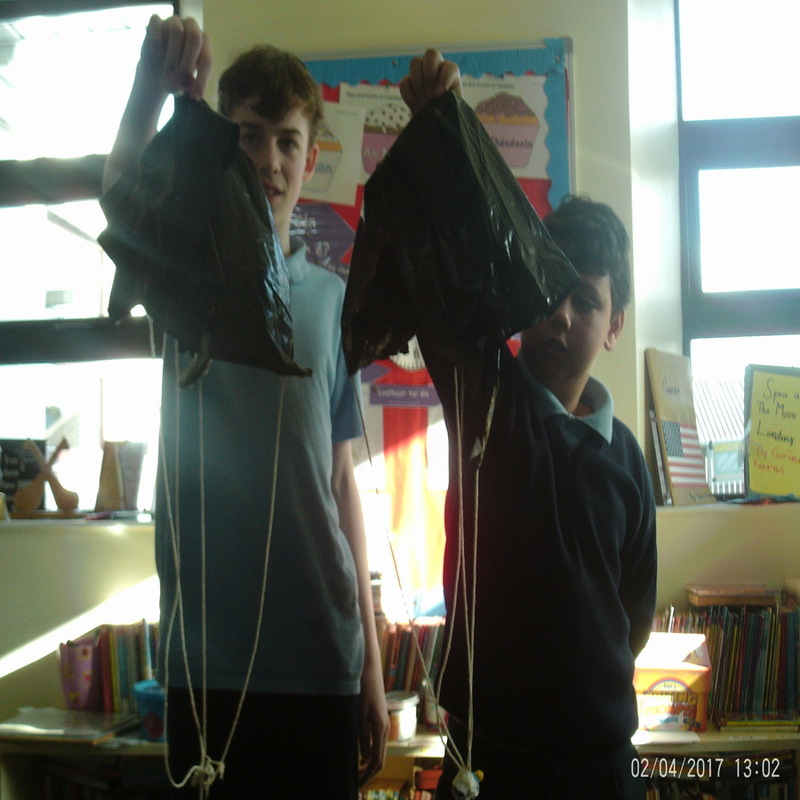 After launching the rockets the children then had to calculate the distance traveled by either using their own stride or a trundle wheel. 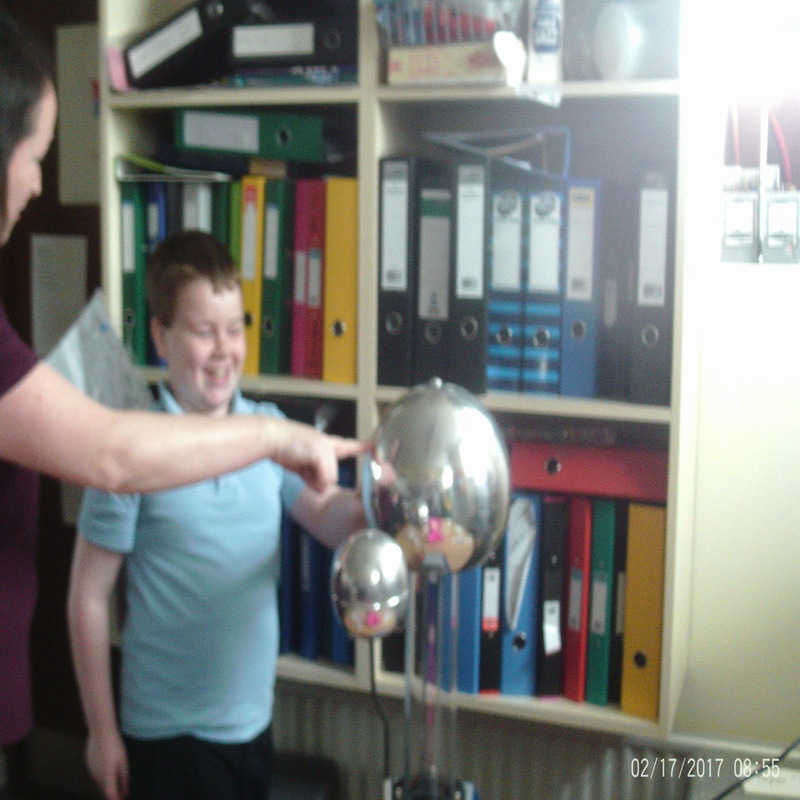 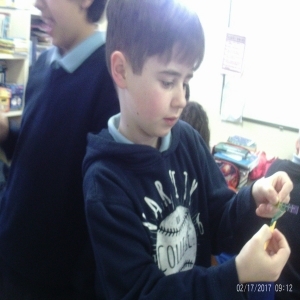 The senior room carried out and demonstrated a variety of experiment for the junior room. 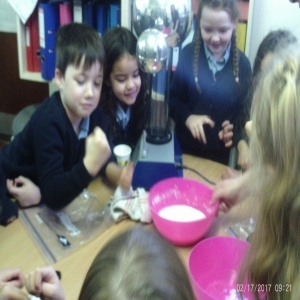 The whole school came together and the senior room in groups showed their experiment to the junior room. 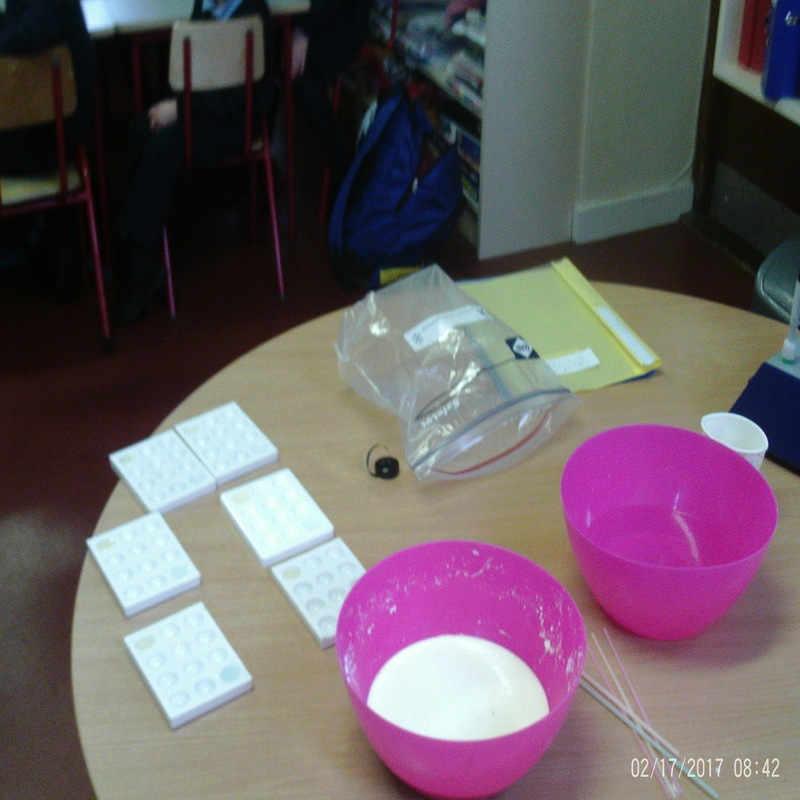 The experiments were as follows: sinking and floating, absorption- which materials absorb water and which do not i.e. 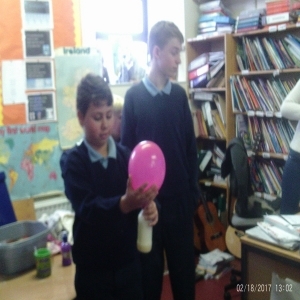 are waterproof, experiment to see which materials/objects are translucent and which are opaque, creating a volcano, using a chemical reaction to blow up a balloon and to see which liquid dissolves chalk the quickest- lemon juice, vinegar or water. 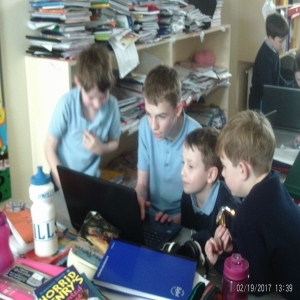 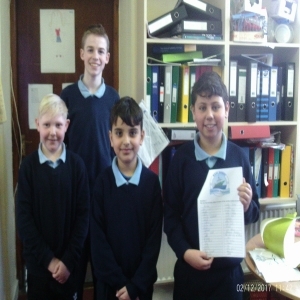 The children create their own school newsletter at the end of every term. 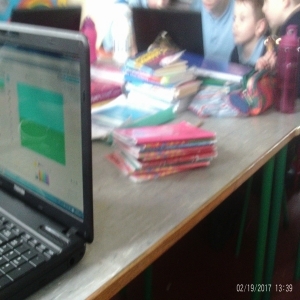 They type this up on Microsoft word and enter pictures to show their work. The newsletter is then sent home to every family, put up on our school website and also given out at mass on the Sunday. 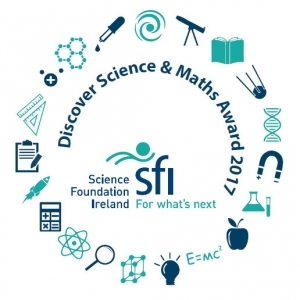 This was a great way to sow everyone all the hard work the boys and girls were doing tot receive the plaque for Discover Primary Science and Maths award.